I love these Mama and Baby matching tees at Etsy shop The Oyster’s Pearl, for any new mother and her baby. But don’t worry, it’s not just for adoptive moms! 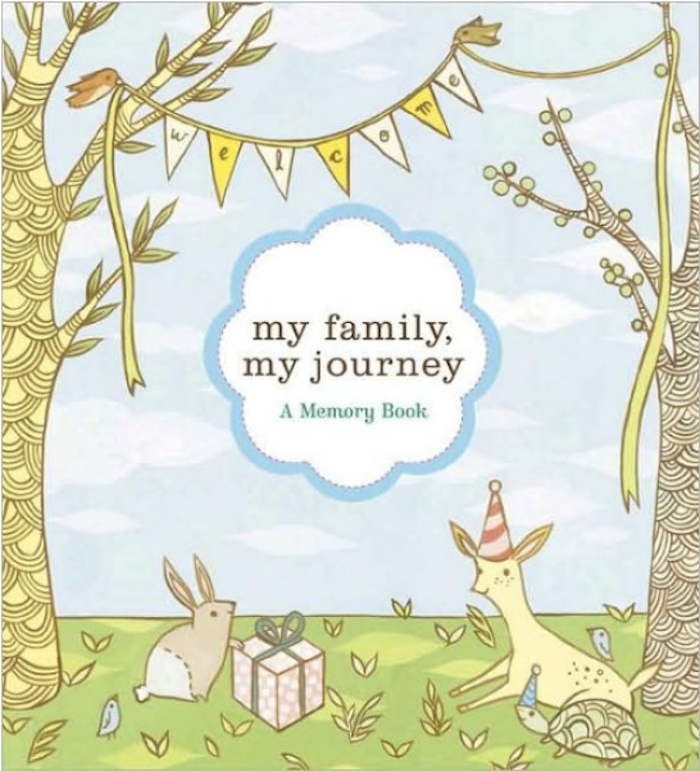 The line includes Papa Bear, Little Bear, Brother Bear, and Sister Bear too, which makes this a beautiful adoption gift for the whole family. Also I know quite a few adoptive parents whose children are a different race, making this a subtle way for them to avoid the awkward, sometimes awful questions (“Are you the nanny?”) they may get from strangers. 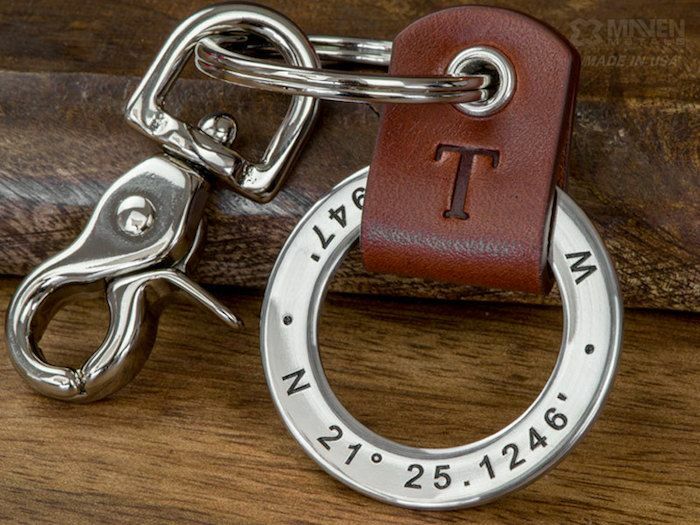 I love the idea of gifting a new dad with a personalized keychain embossed with the coordinates of the hospital where his child was born or the courthouse where the adoption was finalized. Sweet, special, and totally stylish at the same time. 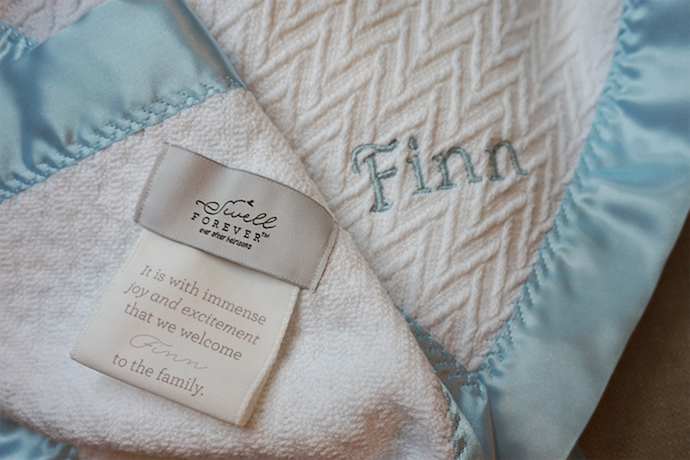 The personalized notes you can add to the tag on a Swell Forever baby blanket make it perfect for adoptive parents who might prefer to commemorate their child’s homecoming day instead of their birthday. This particular one is an extra-thoughtful gift, because some of the proceeds of each purchase go toward helping another family offset the cost of their adoption fees. A special piece of keepsake jewelry that adoptive parents can always have close while they’re waiting to meet their child for the first time is a surprisingly meaningful and comforting gift, as I can tell you first-hand. If you’re adopting overseas, a necklace with the child’s name written in their native language is a sentimental gift that isn’t syrupy sweet and Etsy has plenty of options. But for something a little off the beaten path, I really love the subtle adoption necklace from Dear Mushka. 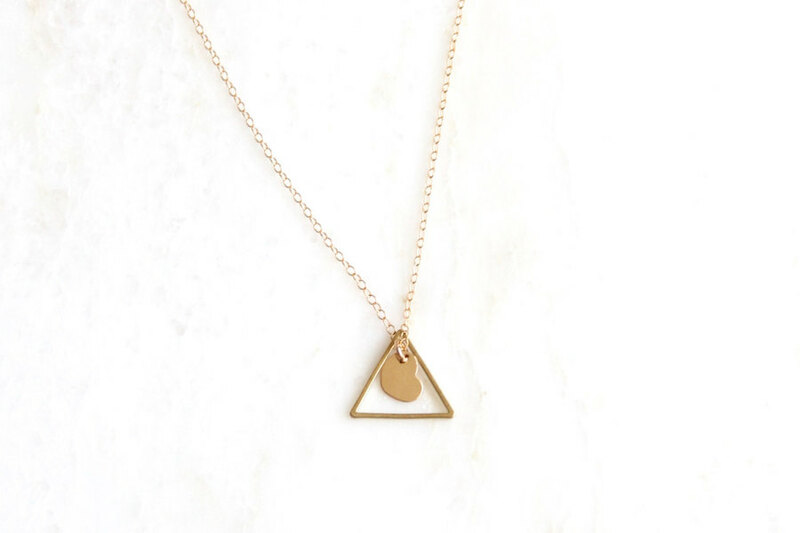 The triangle in the design represents the connection between the birth mom, adoptive mom, and child; the heart is symbolic of the love they share. Gah, look at me getting all weepy again. We’re huge fans of custom illustrated family portraits around here, especially for new parents with a brand new, bigger family, making them definitely one of the best, coolest adoption gifts you can give. Plus, they can be surprisingly affordable! 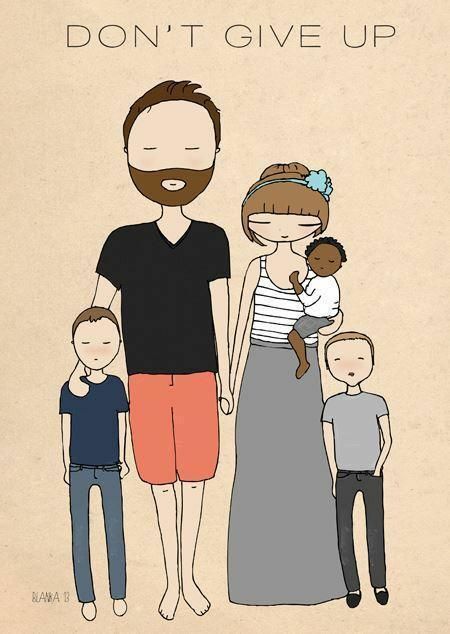 For parents who already have a photo of the child they’re adopting, provide a copy to one of the amazing artists we’ve recommended — we adore UK artist Blanka Biernat, shown here — and have the illustrator create some fabulous, original art depicting the brand new family, just waiting for the parents when they first return home. Aw, man. Related: 8 awesome inspirational prints for little boys who could use some empowerment too. Of course you can always hire a photographer for a portrait session after the family arrives home. But for something more special, why not a photographer for the big arrival day? 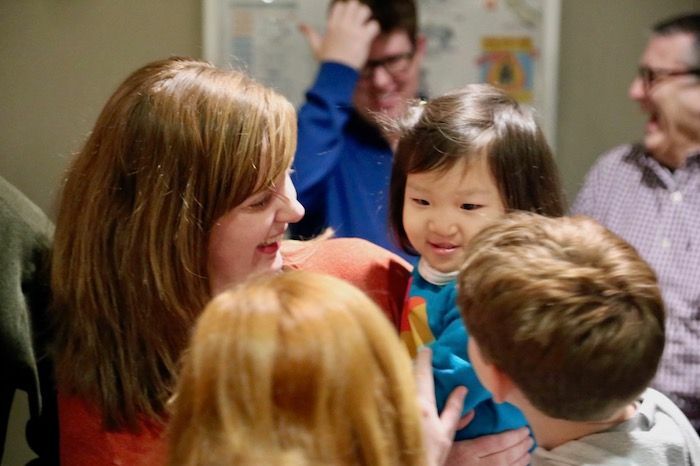 One of my friends showed up at the airport with her camera in hand to candidly capture the very moment our kids met their new sister for the very first time. It’s a priceless gift I’m most thankful for. That’s absolutely perfect gifts for adopted babies! I bet those kids will understand the love and care of the new parent. They will know that it’s a truly home for them to be loved forever. Thank you for sharing a great post. I gave warm fleece blankets embroidered with each child’s new full name to a family who adopted a sibling group of 4. I love giving blankets as they symbolize warmth and a loving hug, at least to me. Hopefully they thought the same! 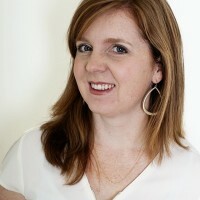 I am adopted myself, and I am trying to find a meaningful and adoption centered mothers day gift for my mom. It seems to be more difficult than I thought it would be, if you have any suggestions I would love to hear them I have come up a bit empty! Thanks!